Heat a pressure cooker and add oil, mustard seeds, and curry leafs, when they splutter, add onion and green chilli, saute to golden brown then add ginger garlic paste,tomatoes,chilli powder,coriander powder,garam masala, turmeric powder,salt and cook for 3 to 4 minutes.Then add potato and mutter, mix it well then add chaat masala and water. Then close the pressure cooker lid and cook for 3 to 4 whistle. Remove from heat and garnish it with coriander leaves. I can eat this one without the paratha...delicious.. 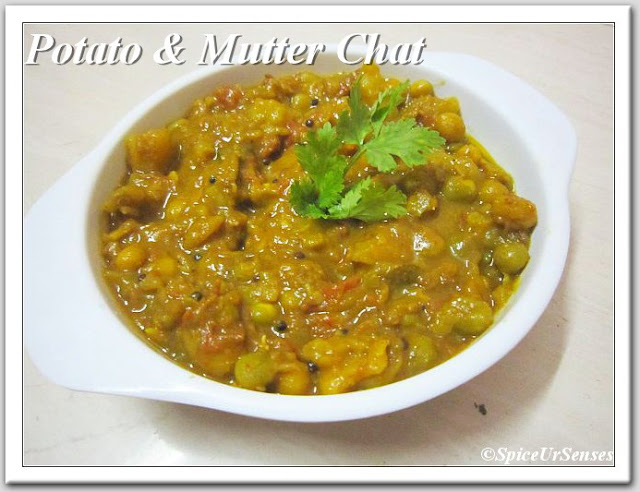 Very tempting chaat recipe! Yummy! my fav dish too and this looks finger licking good! that looks delicious.. I always love that combo.. 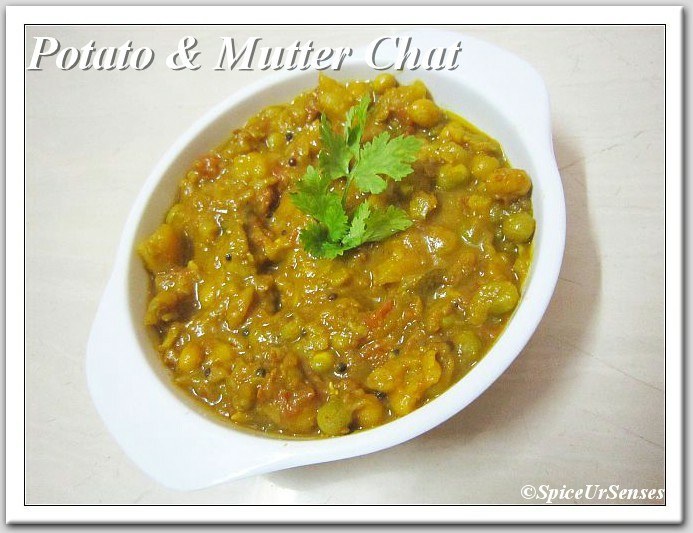 Delicious aloo mutter..Perfect with rotis! It sure is a very tempting curry. wow looks so delicous!i love it when is yellowish!so yum! I've taken some time to spell out how simple it can be to put some extra spending take advantage your wallet nuff.us tax records and details - you will also be advised to bring a minimum of 12 months records of the tax contributions.